Matt Palmer has never played a character quite like Shrek. “It feels very large, very green, very grumpy,” laughed Palmer. Even just getting into costume is a unique experience. It takes him one and a half to two hours to make the transformation into the lovable ogre, and the process involves prosthetics along with tons of green make-up. Shrek, playing in repertory with the return of Legally Blonde, should be a popular show for all ages. Just as the animated film cleverly included many jokes that only adults would understand, the musical will be entertaining for the whole family. The adaptation follows the story pretty closely, said Palmer, with a few additions of some characters’ backstories. The score, however, is completely original except for the inclusion of “I’m a Believer” during curtain call. Palmer said that the music is clever and very entertaining, with many standout songs. “I get to sing ‘Who’d I Be,’” said Palmer. “Donkey asks Shrek, ‘Who would you be if you could be anything?’” Donkey gets his moment to shine when he sings “Don’t Let Me Go,” and Fiona also has some great songs, including “Morning Song.” These songs tell the story in a powerful way and help the audience understand Shrek’s struggle. “The message at the heart of Shrek is that just because you’re not necessarily beautiful and you may be framed as an outcast or freak,” explained Palmer, “you have beauty on the inside and you’re capable of love and being loved.” The show features many characters that are considered to be freaks, and feeling like an outcast is something most people can relate to in some way. Palmer said that Donkey and Farquad will get the most laughs from the audience, although Shrek has his moments as well. “Shrek is the straight man; you would never expect to have a big green ogre as the straight man,” he laughed. 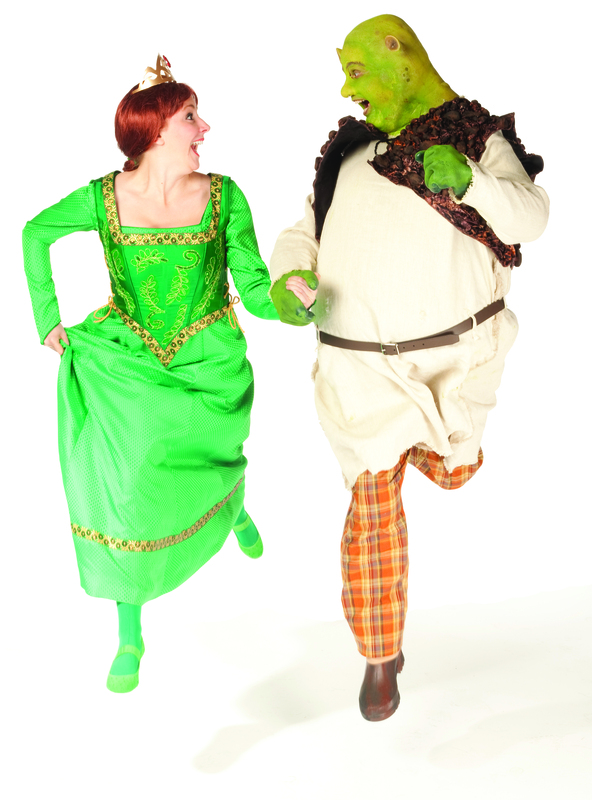 Shrek: The Musical will be presented at Theatre Under the Stars from July 15 to August 22. For more information, visit tuts.ca.